Sure, it can be rather annoying having so many people attempting to sell you something, but when the tables turn and you’re the one who can profit from those advertisements, the mindset of ads as a whole start to change a bit. When Should You Start Selling Ad Space on Your Site? When first starting a blog, most people want to begin monetizing it right away, and that is completely understandable. Most people start a blog with the intention of making money from it in one way or another — and by all means, shoot for the stars. But when it comes to selling ad space on your site; unless you’ve done a fantastic job at launching your blog or you’re a well-known online figure right out of the gate, well… The chances are that it’s not the right time to sell ad space. Even if the timing is right, there may be reasons you haven’t thought of as to why ads might not be the right choice for your blog. 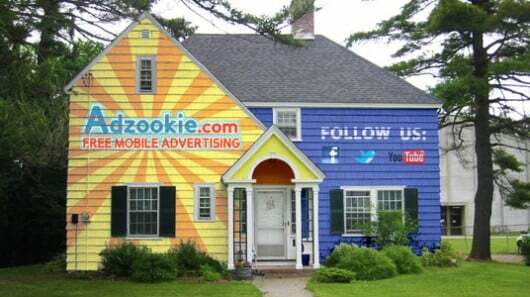 Back in 2011, a company called Adzookie announced that it would literally pay the mortgage on people’s homes in exchange for using their home as a large advertising space. Now don’t get me wrong, I love good ad copy as much as the next Mad Man, but this (in my opinion) is just as bad as it comes. However, the fact that something like this on my home could mean that I would be able to live life without the hassle of a mortgage, does put this image in a better light, if only slightly. So what’s the point of referencing this god-awful ad campaign? Here are a few things to consider before you jump into selling ads, on your blog. There are some affiliate marketers and bloggers who have managed to use systems like Google AdWords and make a killing from them. However, these marketers tend to be on the skilled side and know how to target keywords for systems like Google AdWords so that they get paid better for the ads displayed. For a new blogger with less knowledge of this side of marketing, the likelihood of making money from ads is not the best monetization strategy considering that the average click-through-rate of display ads is a measly 0.1%. That means that you could be wasting the financial possibilities from the traffic coming to your site on something that really won’t pay you as well as you hope. Sure, you’ll be making something which is better than nothing, but that is a downside to consider. Selling ad space, however, can be much more lucrative, but there are things that come into play that could make that a truth for you or not. Those things are the Holy Grail for advertisers looking for a high ROI (return on investment) for the ad space they buy. As that is the case, someone like Michael could require a larger fee for his ad space than Joe Schmoe with considerably less that the above-mentioned trifecta. So to reiterate, you can make money from ads, but don’t get your hopes up on the amount you’ll make from it, especially if your blog is new and traffic is low. This is another area you will want to consider before you decide to place ads on your site. As a blogger, affiliate marketer or whatever title it is that you tout, the chances are that you work REALLY hard to try build your site’s content and drive traffic to it. If you’ve done things right, then you’re also trying to collect emails to build your list and grab social shares. But the thing about ads is that they distract from the entire process. Instead of people reading your blog, signing up for your email list and sharing your content, they can get pulled into that little ad on your site, click on it and then leave your blog never to be seen again. So if you do sell ads or place ads on your site, beware of this likely ramification. This last point is really two points wrapped up into one. Are Ads A Terrible Idea? Well, no, not as a whole. The points listed above are just some things that can happen when someone decides to use them when it really doesn’t fit well into their goals and audience. Some hate them due to bad experiences whatever they may be, and others have found a way to maximize their earning potential without sacrificing their authority or online reputation. There are a lot of things to consider, and depending on your goals with your site they can either be a great idea or the absolute wrong one. So just be sure you do some thinking before you decide to use them. If you’ve already done the heavy lifting and decided that ads are a great idea for your blog, then below are some ways that you can start selling them on your site. Michael Hyatt has a nice post about how to go about setting up the foundation for selling ads yourself. Here he talks about how to create an advertising page and ad kit that you can use if you ever want to reach out to a certain business about promoting a product for profit. 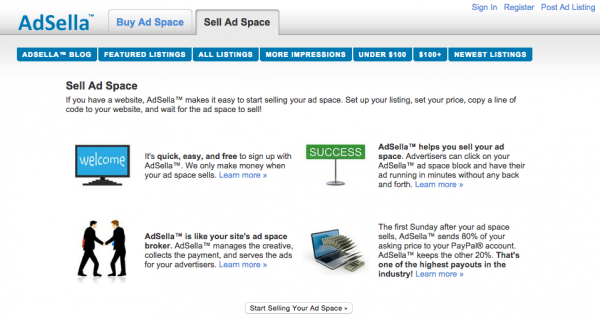 Also, Pro Blog School has an in-depth walkthrough of how to sell ad space directly. The Ad page and kit aside, you’ll want to make is easier on yourself to actually display and manage the ads you add to your site. Here are a few to help get you started. With a plugin that boasts to be the easiest one in the market to place ads on your WordPress site, it has quite the reputation to live up to. Thankfully, it’s pretty much true — and free. After installing the plugin in your WordPress dashboard, you will find a couple new widgets that give you some options for displaying certain types of widgets. Choose the one you want, follow the prompts for using it and then it will be displayed in whatever widgetized area you place it in. WP Beginner has a nice tutorial on how to setup and use the latter. This plugin is simple, free and a nice change of pace from the bigger block sized ads you might usually see on the average site. WP125 can be used to place smaller ads that are — you guessed it — 125 by 125. The downside to trying to handle selling ad space on your site is that it can eat up quite a bit of time. As this can be the case, many have opted into using other means for selling ad space on their WordPress site. Here are a few options if that is the option you prefer. 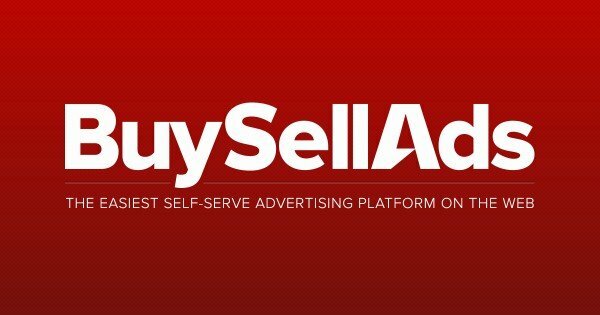 As with many big names out there, BuySellAds has many who love it and many others who aren’t the biggest fans; however, the site does offer the wonderful service of automating the majority of selling ad space on your site (although, that’s only for the premium upgrade). One reason why so many turn to BuySellAds is because it connects them and potentially you with top advertisers so you’ll have the possibility to gain big name advertisers for your site. This tends to be a much better approach than attempting to contact these companies yourself. With BuySellAds, the people come to you, you work out the deals with them and BuySellAds handles the transaction while taking 25% of whatever money is made. If you’re not too keen on using these guys or can’t use them for whatever reason, there are alternatives to the platform that could be a better fit for you. You keep 100% of your revenue. Not only do you get to keep all the money you make, but after submitting your website, it will be placed in the marketplace where advertisers can find your site, and buy ad space which your OIO Publisher WordPress plugin can handle with fully automated sales. OIO Publisher is priced at $47 and will cover all of your websites that you use it on. Aside from the automation and marketplace, this plugin doesn’t seem to offer much more than what you could do on your own and the WordPress Dashboard area for it is a bit clumsy to navigate. But it’s not all bad and with big name blogs like WP Beginner using it, it’s likely worth a look at. Though it is a bit newer than the other above-mentioned ad platforms, PublicityClerks has a lot to like about it. You can submit your site (which isn’t hindered by a minimum for traffic stats) to the team to approve. Then you define what ad space is going to be sold on your site and you can charge whatever you like for that space. Once approved, your site will appear on PublicityClerks for anyone to come and purchase the ad space on it. If someone purchases ad space on your site but you don’t want to use their ad, then you can disapprove the purchase. PublicityClerks doesn’t state whether they take a cut of the money you make, so I’m assuming they don’t. But when in doubt, check it out and ask. The last one on the list is AdSella. The AdSella platform is quite a bit like BuySellAds in that they are connected with a lot of advertisers so that you can get your ad space in front of a better audience. They even use social media to boost the likelihood of selling your ad space — Yeeha for free promotion! Even though registration is free, they still take a 20% cut of the profits made; however, that’s 5% less than BuySellAds. All and all, they seem like a nice option for setting up selling ad space on your WordPress blog. Selling ad space can be a great way to boost your income on your site depending on what kind you’re running. Though it’s not what many would consider the best monetization strategy, that doesn’t mean that it’s completely dead in the water when it comes to generating some money for you. Just remember to consider some of the possible downsides to see if it still fits in well with your overall goals. If it does, then full steam ahead! Very long and informative post. Learn lots of new things from the post. I generally use a third-party service to handle ad selling task. They keep 20% of the total amount and transfer the remaining amount to my bank account. what are those third party services? I am definitely not a fan of ads. They take away from the design and content of the page (the whole reason I am there) and it’s a sure way to lose my interest fast. We never sell ads on any of our own websites. I feel like ads take away from the legitimacy of a webpage. I prefer websites that are sleek, rather than crowded with ads trying to sell me something. I run a audioblog and would like to run audio ads before and after every posting, do you know of any plugin that allows me to do this ? I think placing ads belonging to the same niche as your blog would be a more logical and natural thing. Reader would not find those ads out of place. Apart from Ads, you can also allow top brands to guest blog at a premium fee. Good article Ariel. I agree, bad quality ads and irrelevant ads can have a bad user experience and increased bounce rate. Another downside – you could have Vectorstock.com – put their creepy, offensive ad with the silhouetted black naked woman squatting and waiting for a poke in the behind – the one on the pink background. At blogspoongraphics / Chris Spooner, I unsubscribed after asking him to remove it from his site. He gave a lame answer for why he couldn’t and had to spend a half an hour or so figuring out how to unsubscribe me. What a great article, especially for WordPress newbies. Thank you! Thanks Ariel , Great post. I have seen many established blogger tooo , start adding such ads which are principally wrong and principally not recommended but still they do it, May be the mindset is something which one cann’t change, Earn money However. Thanks for sharing this informative post and it will helpful for new bloggers. I agree with you to use a third-party service to handle things is really better. Have to admit that finding the best monitization route is pretty tricky and ads (in my view) do have a negative impact on your site if placed badly. However, I found that if the ads are relevant to your audience than it can help with click through rates and therefore income. So it’s worth researching who is in your audience and pitching ads that are right for them.